Juice WRLD at No. 1 once again. 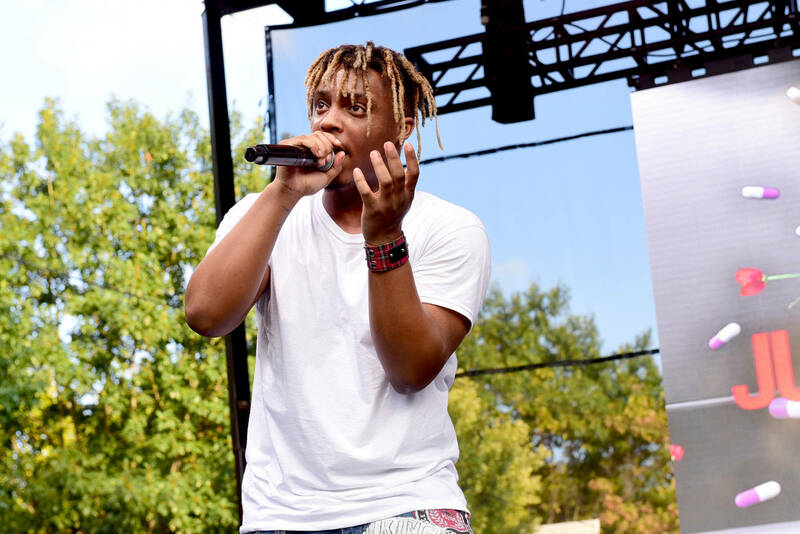 Juice WRLD's Death Race For Love is back at No. 1 on the Billboard 200 albums chart for the second week in a row after earning 74,000 equivalent album units during the week ending in March 21st. It marks a decrease of 55 percent from its opening frame of 165,000 units last week. This week, Death Race earns its top slot with just over 70,000 units due to a relatively slow week for the top 10. Currently, there are no debuts to boast in the coveted slots, with the usual suspects shifting positions among themselves, Billboard reports that most of them have already visited the No. 1 slot in the past, with only two albums in this week's top 10 having not been to the penthouse. Following behind Death Race is Ariana Grande's Thank U, Next at No. 2 with 66,000 equivalent units while Lady Gaga while Bradley Cooper's A Star Is Born soundtrack arrives at No. 3 with 40,000 units. A Boogie Wit Da Hoodie's Hoodie SZN extends its stay in the top 10 with 33,000 units for No. 4. Queen's Bohemian Rhapsody soundtrack tracks at No. 5, holding steady with 33,000 units. Following close behind is Post Malone's beerbongs & bentleys moving 7-6 with 31,000 units while Drake's Scorpion moves up to No. 7 with 30,000 units. Travis Scott's Astroworld ascends to No. 8 with 28,000 units being followed by Meek Mill's Championships at No. 9 with approximately 28,000 units. Closing things out is Gunna's Drip or Drown 2 at No. 10 after earning 27,000 units.